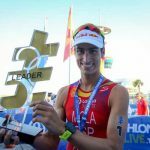 Alanya, Turkey – João Pereira (POR) topped the podium in Alanya ITU with a classy performance in the Elite Men’s race to claim his first ITU World Cup win ahead of Kristian Blummenfelt (NOR) in second and Kyle Jones (CAN) in third. 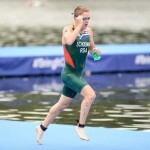 However, all of the eventual medallists fought to come back from a deficit after the two-lap 1500m swim, which saw Raol Shaw (FRA), Dmitry Polyanskiy (RUS), Igor Polyanskiy (RUS), and Henri Schoeman (RSA) exit first with a slight lead. Initially, the four led a 15-man breakaway, but a large peloton, which contained Blummenfelt, Pereira, and Jones, worked together to bridge up halfway through the six-lap 40km bike course. As in the women’s race that was held on Saturday, the majority of the start list entered a congested T2 together meaning the podium would be decided on a hard fought run that had a challenging hill on each of the four laps. In the first 5km, a group of 10 men ran together, but it was a back-half strategy from the Portuguese man that would decide the winner. 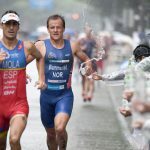 One of the fastest men to run in ITU races, Pereira began to push out a pace that only reigning Under23 World Champion Nan Oliveras (ESP) could answer. Together, the two took off on the final two laps with Jones and Blummenfelt attempting to follow behind them. 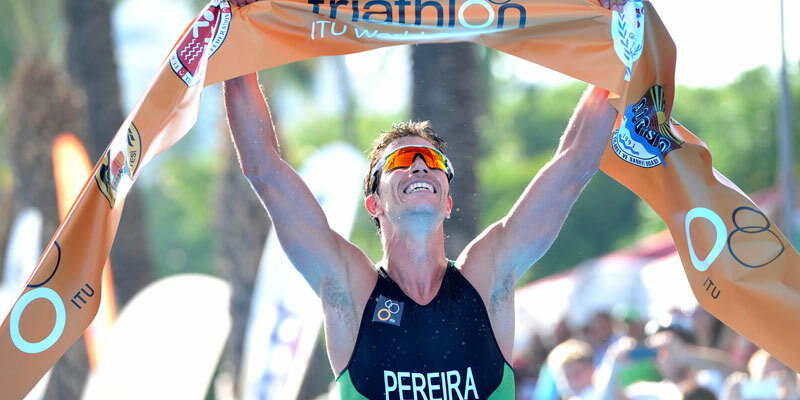 Pereira punched up his speed a notch on the final lap, sailing to the win in 1:45:10. The Norwegian and Spanish then took advantage of a 15-second penalty by Nan Oliveras (ESP) to reach the medals. 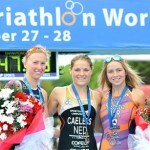 The podium was Jone’s second consecutive World Cup podium after earning the silver medal in the Cozumel World Cup.